New Camera News is a site I recently came upon that acts as a parody of other news sites that relentlessly throw out all the press releases that any photographic company puts out. It is in the same vein as The Onion in its relatively indiscriminate skewering of all things photography.The content can be a little hit and miss but it is at least worth a look. The second big piece of news from last week regards Kodak and the company's on going financial troubles. Since August last year Kodak has been looking for some Personal Imaging and Document Imaging divisions. The Personal Imaging division includes camera film and photographic papers, while Document Imaging includes scanners. There is a lot of detail regarding the specific financials of the deal between the Eastman Kodak company and U.K. Kodak Pension Plan (KPP), which, to be honest, is pretty dull. However the quote below from Steven Ross, Chairman of KPP should give some relief to those who still use Kodak films and papers. There were two really big pieces of news last week. The first of which, and probably the most directly affecting to the industry, comes from Hasselblad. They announced that they were ceasing production of the 503CW body. 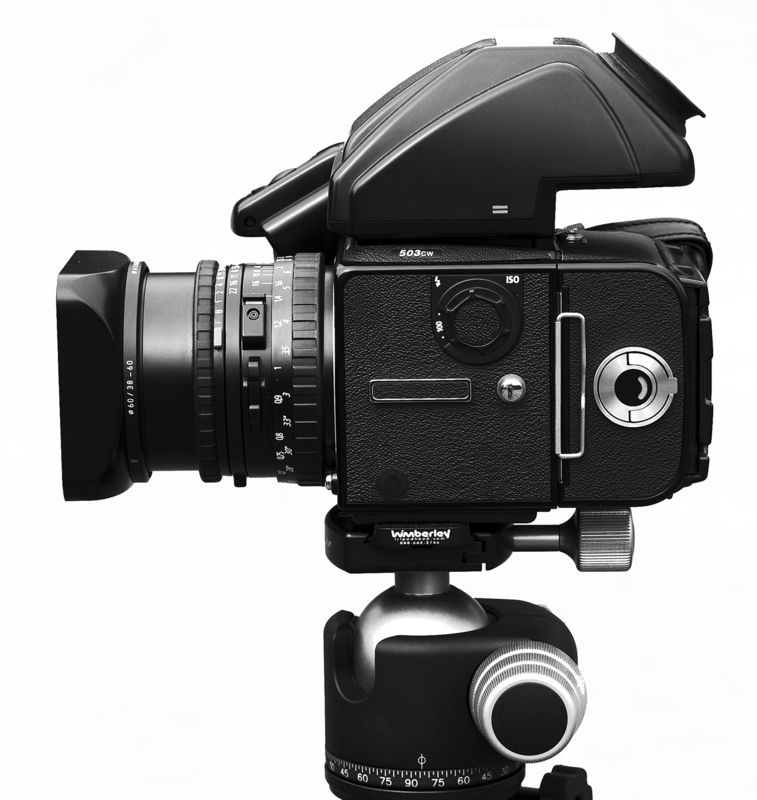 This move by Hasselblad, which comes into immediate effect, means that V System line comes to an end. The V system has been in production for over a half century and, with the extensive V System range of interchangeable lenses, formed the company's original camera line. Interestingly when the V System name did not come into being until after the release of the H System, at which point the company wanted to come up with a way to distinguish it from the new line. This leaves Hasselblad with the just the H System of cameras and accessories, and the soon-to-be-released Lunar Series of mirror-less cameras. Following on from my earlier post about the Online Lighting Diagram Creator, I was passed a link to Sylights. Sylights is another, more rounded and beautifully built lighting diagram editor. It comes as the standard web-based application and as a universal (iPhone & iPad) iOS app. To top it all the app is also free and can be downloaded here. The website is extremely simple to use and has an extensive area of user-generated diagrams. These come with example shots and even some notes. The database of diagrams is searchable and can be filtered with many criteria. This makes it a good research tool, as well as a record of your own setups.